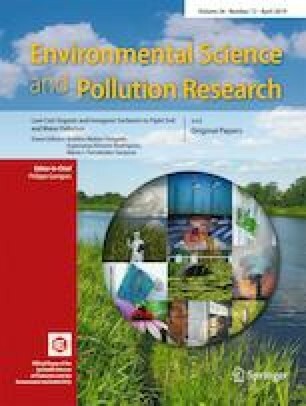 To reduce the environmental pollution caused by ammonium paratungstate (APT) production in the Ganzhou area in China, simulated experiments in laboratory and field experiments in cement kilns were performed. The migration characteristics of As in secondary residues (thermometallurgy and hydrometallurgy residues) from APT production in cement kilns were similar, and As in the residues existed in the form of sulfides. When the residues were fed at the kiln inlet, the As in the residues was completely distributed in the clinker after a new mass balance of As was reestablished in a very short time. When the residues were fed at the raw mill, the total input rate of As was far higher than the total output rate. Therefore, a part of As was circulated in the cement kiln, and only a small part of As was distributed in the clinker. In addition, the As concentration in the flue gas and the leaching concentration of As in the clinker were far below the limit value in the Chinese standard. For feeding rates below that are used in the field experiment, co-processing of secondary residues in a cement kiln fed at the kiln inlet is environmentally safe. However, if the secondary residues are consistently fed at the raw mill, the As concentration in the flue gas may gradually increase. This work was supported by the following Sino-Norwegian project phase II: “Environmentally Sound Management of Co-processing Hazardous and Industrial Wastes in Cement Kilns in China” [CHN 2150 09/059]; the Project of National Key R&D Plan for The 13th Five-year: “Study on Environmental Assessment System of Green Building Materials Prepared by Bulk Solid Waste”; the National Key Research and Development Program of China [2017YFC0703206,2018YFB0605101].